I’ve worked in the website building business for over 10 years as a graphic designer and WordPress web designer. Over the years, I had the privilege to try some great (and sometimes bad) web hosting services. For a long time, I even offered my clients web hosting services as a reseller. While I do not offer that service to new clients anymore, I refer my clients to the best web hosting solutions on a regular basis, and I now would like to share this wisdom with you as well. 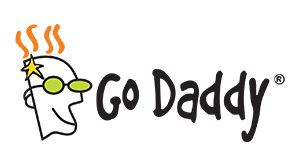 GoDaddy has excellent customer service by chat and by phone, and is a pioneer as a domain name provider, one of the oldest services to still be a major player in the race. 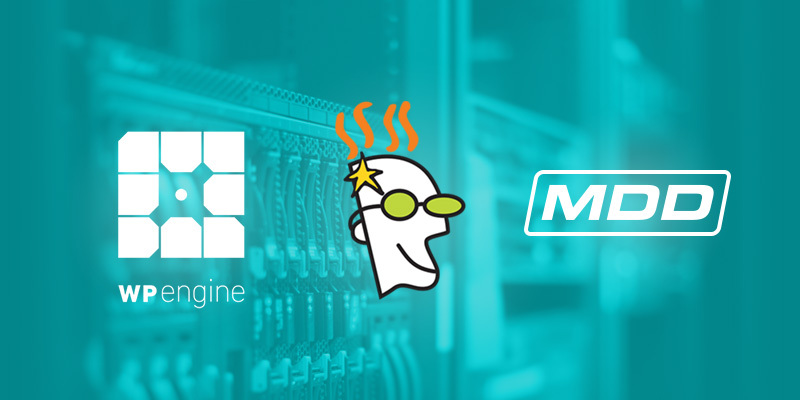 GoDaddy improved its hosting service in the last few years. The once slow, clunky and deficient hosting they used to offer has been replaced by a competitive service, and includes compatibility with cPanel, CloudLinux, WordPress, PHP, MySql, Drupal and more. Minor annoyances with Godaddy in my opinion include their interface which could be cleaner and easier to navigate, the hosting service quality which is on par with the competition (but not superior in any way), and their increasingly expensive domain names. In my experience with handling my clients’ hosting accounts on Godaddy, which includes creating Databases for WordPress, using their native FTP Manager and cPanel, managing domain names and DNS, I was generally satisfied with Godaddy and do recommend it. Their customer service is definitely worth it. As a starting point, their Economy Linux Shared Plan includes: 1 domain name, 1 website, 100GB of disk space, unlimited monthly bandwidth, database access/backup/restore. Try Godaddy’s hosting service at a promotional price of $1/month, including a domain name, here. MDDHosting is my #1 go-to hosting service. A small but very reliable small company based in Mooresville, Indiana, they offer fair-priced shared and premium hosting. Their online customer service is available 24/7 and responds quickly to support tickets. They are also reachable by phone on weekdays. What impressed me most throughout the years with MDDHosting is how stable and dedicated they are. There’s also that time when, being disatisfied by the service of a support tech, I was promptly personally contacted by the company owner who offered me a perfect resolution to my problem. Since it is so rare in the digital world to find small to medium businesses that care that much about the quality of their products and customer service, MDDHosting is a gem I appreciate and continue to work with year after year, after year. None. I looked but couldn’t find anything negative about them during the years I’ve been doing business with MDDHosting. MDDHosting offers well priced hosting and domain name solutions, and their customer service is efficient and reliable. They’re a transparent small company located in Indiana who offers consistent service. Their Basic Plan at $3.50/month includes: 1 domain, 1 GB disk space, unlimited data transfer, unlimited email accounts, unlimited databases, cPanel and SSL encryption. For $9.50/month, their Professional plan has unlimited domains (practical if you have more than one website). Click here to get 15% off during your first year of hosting at MDDHosting. WP Engine specializes in selling hosting services for WordPress. They’re all about performance and technical service. Their customer and tech support is very knowledgeable and well equipped to deal with advanced issues. They’re available 24/7 online and with some plans they also offer 24/7 phone support. WP Engine delivers top of the line services for small to large enterprises and provide for known brands such as Yelp, AMD, SoundCloud, Instacart, and many more. Having had the pleasure to work with them, I can vouch for their professionalism. They’re pricey. They prices start at $29/month for one WordPress install. And it only goes up from there. WP Engine specializes in managed WordPress hosting. They’re knowledgeable and offer a superior service that can serve from the smallest to largest companies. While their solutions do not come cheap, they’re legit, have been around since 2010 and have offices in several cities in the United States. Their Personal plan starting at $29/month includes: 1 WordPress install, 25,000 visits/month, 10GB local storage, unlimited data transfer and SSL certificates. If you have tried any of these services, feel free to share your own experience here in the comments!